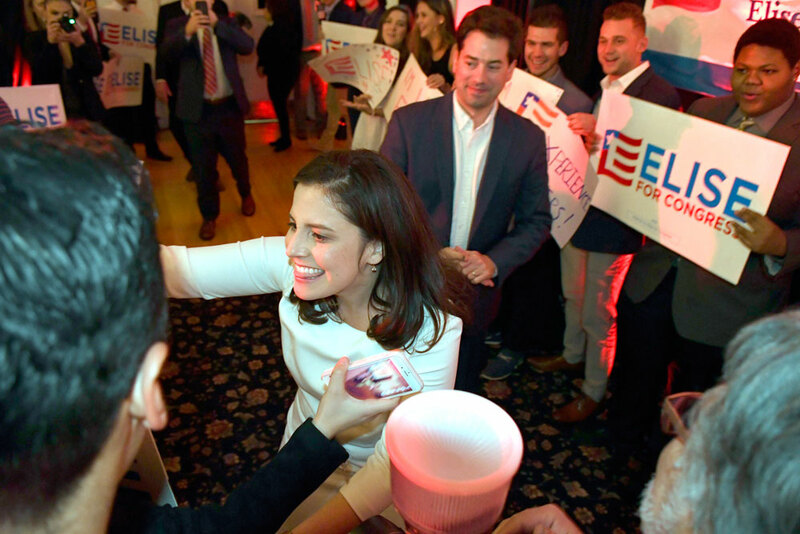 SARANAC LAKE — More than half of New York’s 21st Congressional District’s 405,521 active registered voters turned out to the polls Tuesday, re-electing incumbent Republican Rep. Elise Stefanik by a margin of 32,337 votes. These turnout numbers were higher than usual for midterm elections and placed somewhere between average midterm election turnout and average presidential election turnout for the district. District-wide, Stefanik took 55.91 percent of the votes with 122,863, Cobb took 41.2 percent with 90,526 votes, and Green Party candidate Lynn Kahn took 1.46 percent with 3,211 votes. These are unofficial numbers that do not include absentee ballots. This year, 219,733 people voted at the polls. In the 2014 and 2010 midterm elections, voter turnout was closer to 180,000. On election years it spikes to around 270,000, with the 2016 election hitting 288,000 voters. Essex County averages 9,000 to 11,000 for midterm turnout — reaching 17,000 in 2016.This year, 13,427 voters turned out. Franklin County averages 10,000 to 12,000 for midterm turnout — reaching 17,000 in the 2016 presidential election. This year, 13,276 voters turned out. Several voters heading to the polls in Saranac Lake said this midterm election was especially important because the country is divided over President Donald Trump and they wanted to vote for people who would either support or oppose him. Some were first-time midterm voters who became involved with the midterms through Cobb or Stefanik’s campaigns. “You can complain all you want, you can write letters to the editor, but unless you vote, none of that matters,” Jim Moore of Saranac Lake said.